Business Plan Writer | Charlotte, NC. Business Consulting Firm | Orlando, FL. Resume Writer for Tampa, FL. Resume Writer for Jacksonville, FL. Resume | New York City, NY. Resume | Los Angeles, CA. 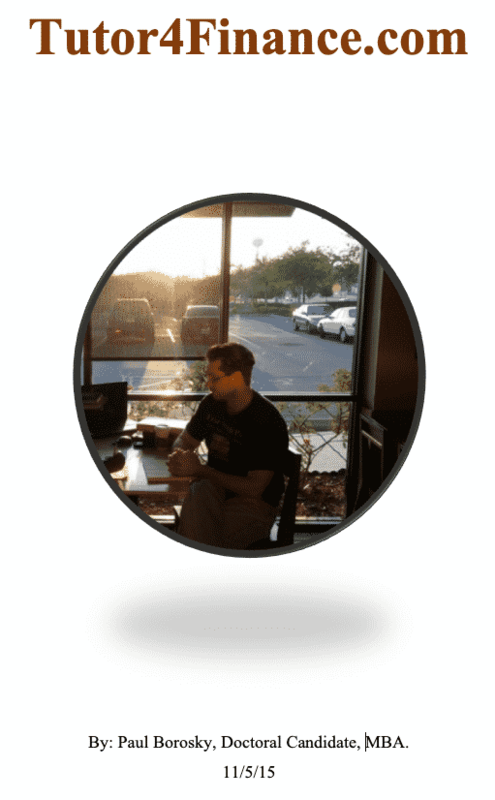 Local Business Writing Services | Orlando, FL. Writing Services For New York City, NY. Writing Services For Los Angeles, CA. Writing Services For Chicago, IL. Writing Services For Houston, TX. Writing Services For Phoenix, AZ. Should You Hire Business Consultant or a Business Coach? Visiting New Smyrna Beach, FL. Business researchers continually find that very few businesses use a business plan on a continuous basis. In some municipalities or even states, doing this may be barely acceptable due to the maturity and predictability of the local environments and competitors. However, the state of Florida, based on the research of our business plan writers, is far from a normal state in our country. Florida’s economies, on a local basis and regional basis, fluctuate dramatically. We have a diverse ethnic culture in South Florida, a melting pot of individuals from around the world in Central Florida and our Southern culture permeating in North Florida. With such a diverse economic environment in the state of Florida, small business owners faced challenges not only with competing in their local economy but also when they are prepared to expand their services to a statewide competitive field. Because of these challenges related to the economic and competitive diversity in Florida and small business owners’ petulance toward business plans, our business plan writers have compiled 12 challenges that may be mitigated or even avoided through the use of a business plan. Benefits may even be compounded when the business plan is written by a professional business plan writer. 12) Business Plan Writers help Sanford and Deltona, FL. Business Owners with Collection their Thoughts and Ideas. Business owners in the Sanford, FL., and Deltona, FL. often face the challenge of collecting their thoughts and ideas based on research from our business plan writers. Entrepreneurs often have a multitude of thoughts and ideas related to their business floating around in their head. To make this worse, our business plan writers have found that these thoughts and ideas from entrepreneurs continually change on a daily if not hourly basis. Because of the complexity of any business, attempting to start and run a business, based on a compilation of thoughts and ideas in your head, that are continually changing, is not the best strategic approach in a competitive environment such as Florida. A better idea is to work with a professional business plan writer and compile your thoughts and ideas into a coherent document. Also called a business plan. A business plan can help compile your thoughts and ideas through the segmented structure of the business plan. The company description section will help you discuss and layout the general concept of your business. The organizational structure will enable small business owners to create visual aids to help readers in themselves understand how the business will operate. Further, the financial section, when working with a financial forecasting consultant, will help is as owners understand how pricing their products will impact their overall profits on a daily, monthly and even annual basis. 11) Business Plan Writers help Palm Coast and Daytona Beach, FL. Business Owners with Understanding their Customers’ Changing Tastes. Small business owners, especially when starting out in the Palm Coast, FL., or Daytona Beach, FL. areas, are often tasked with doing every and anything that has to do with their business themselves. Small business owners meet with customers, take their orders, create the products and services needed to solve their problems and then also perform customer service functions as well. As a business grows, the business owner then needs to monitor employees, deal with finances, stay up-to-date with changing regulations and observed changes competitors in their area may be making. Throughout the business growth process, our business plan writers have found that small business owners tend to lose touch with customers changing tastes because of the responsibilities placed on themselves. Unfortunately, without monitoring and even predicting how customers case may change, the organization could be losing market share to better prepared competitors, especially large corporations. To mitigate this issue, a business plan is absolutely essential. Having a written business plan will allow business owners to create business models that may be implemented into their organization, which will free up needed time for talking in interacting with customers. Business models are simply actions that a business takes in order to make revenues. Our business plan writers have found that when business owners take up front action and create business models for their organization, they are actually able to work themselves out of a job. With this means is that business owners are able to delegate enough authority to their employees that their employees are actually running the company and their job is oversight. With additional time allotted to the business owner, new strategies may be created to interact with customers or even strategically plan for future growth. Call or Text Paul, Doctoral Candidate, MBA. Hours of Operation: 7 Days a week 8am to 9pm EST. Our business plan writers are located in Orlando, Fl. We have researched and written business plans for numerous businesses in the US. 10) Business Plan Writers help Palm Bay and Melbourne, FL. Business Owners with Identifying a Target Market. Entrepreneurs attempting to grow the business, especially in the Palm Bay, FL. and Melbourne, FL. areas, often have difficulty with identifying a target market. Most small business owners tend to believe that their business concept is needed by all people in their community. The unfortunate truth found by our business plan writers is that certain businesses appeal to a small demographic of people, who disproportionately have problems, that are aligned with solutions offered by their business. In other words, that everybody has problems that your business can solve. From this, our business plan writers strongly recommend identifying your target market. Business plan writers can help small business owners identify your target market through specific actions. A common action to help small business owners identify their target market is to imagine a person walking down the street. This person, in your humble opinion, will most definitely purchase or use your products immediately without question. Once the vision of this person is captured, describe this person in detail. What is the person’s age? Are they male or female? How are they dressed? By identifying the perfect person that would use your product, a narrow demographic or target market may be created. From a target market identification, business owners can then tailor their marketing strategies and business operations to best serve this audience. Of course, a business owner is not to turn away all business that are not the target market. This just means that small business owners will focus on using their scarce resources to fully exploit their target market opportunity. 9) Business Plan Writers help Sarasota and Bradenton, FL. Business Owners with Networking Strategies. Our business plan writers have found that some business owners in the Sarasota, FL. and Bradenton, FL. area have the gift of gab. In other words, business owners are able to talk to anybody and everybody about their business, what they do, how they operate and why they are the best business in the world. Unfortunately, there are a significant number of entrepreneurs who struggle on a daily basis with networking. I would be one of them. To best mitigate the issue or challenges of networking, working with a professional business plan writer is highly recommended. A business plan can help with networking by creating strategies for business owners to implement on a daily or monthly basis. These strategies may include joining and participating in chamber of commerce events, showing up for community volunteering or embarking on after our meet ups in your area. To ensure enshrinement of your business networking concepts, professional business plan writers will almost always create a strategy section specifically focused on networking actions for a business owner. Not only will this guarantee that the strategy is included in the business plan will also help remind business owners and actions the need to take on a continuous basis to ensure a successful networking strategy. As shown below, a networking strategy should be included in all business plans to ensure uniformity and execution. 8) Business Plan Writers help Port St. Lucie, FL. Business Owners with Social Corporate Responsibility. Corporate social responsibility is embraced by some business owners in the Port St. Lucie, FL. area, based on research from our business plan writers. However, social corporate responsibility should be practiced by all businesses in all areas all the time. Business plan writers define corporate social responsibility as when business owners take into consideration the community, vendors, employees and their businesses best interests when making business decisions. This practice may seem foreign to some business owners. However, failure to consider the community as well as your business in your decisions has ramifications not only on your profits but on the communities and even your environment in which you work. Because of the importance of social corporate responsibility, business plan writers should strongly recommend that all business owners include a segment related to this topic in a business plan. When business plan writers educate business owners as to the importance of social responsibility, not only will this help business owners consider the importance of their actions to their business as well is a community but this will also help foster a thought process for further community engagement. As a result, business owners may be able to shift their tunnel vision from business profits to further helping the community improve. 7) Business Plan Writers help Cape Coral and Fort Myers, FL. Business Owners with Regulations. Regulations are often the bane of a small business owner’s existence. Anytime our business plan writers discuss regulations with small business owners, we almost always see a cringe under phase and sweat on their brow. This is because regulations not only constrict on how businesses may operate but it also forces small businesses to dedicate scarce resources to complying with mundane legislative requirements. A business plan writer can help small business owners deal with regulations, especially in the Cape Coral, FL., and Fort Myers, FL. area, by creating a section in the industry analysis to discuss current regulations. By putting this information in a business plan, business plan writers are educating business owners related to current regulations that impact the business. Further, strategies may be included to best assist with meeting the needed regulations. As a result, not only will businesses better conform to regulations but they will also be able to avoid costly fees or penalties from violations. As shown below, our business plan writers use standard verbiage for regulations, based on industry. This allows for individual optimizations. Three Reasons to Hire a Business Plan Writer for your Phoenix, AZ. Business. Three Reasons to Hire a Business Plan Writer for your Houston, TX. Business. Three Reasons to Hire a Business Plan Writer for your Chicago, IL. Business. Two Reasons to Hire a Business Plan Writer for your Los Angeles, CA. Small Business. Three Reasons to Hire a Business Plan Writer for your New York City, NY (NYC) Business. Which Type of Business Funding is Best? 6) Business Plan Writers help St. Petersburg and Clearwater, FL. Business Owners with Business Models. Business models for businesses in the St. Petersburg and Clearwater, FL. area, are simply actions that a business may take in order to make a profit. In general, small business owners know intuitively what actions the business needs to take in order to make a profit. Further, business owners also know how to take these actions to best serve their customers. Unfortunately, most business owners also keep this information to themselves. Our business plan writers have found when this is done, employees are not able to fully employee business models envisioned by business owners into their actions on a daily basis. This may lead to substandard customer service and inevitably damaged reputation and lower profits. Working with a professional business plan writer would help small business owners identify business models and construct parameters for the implementation of the models. When doing this, business owners may enjoy several benefits. First, by having business models in their business plan, they are able to share the information with employees. This will allow employees to fully understand how actions within the business of the taken and expectations for each action. Further, when business models are enshrined in a business plan, business owners are able to monitor how business models are implemented and take corrective actions when needed. In other words, business plan writers, when implementing business models in a business plan, allow business owners to optimize their operations. Finally, having business models and a business plan allows for additional opportunities for funding. When potential investors see business models, they are able to get a better understanding as to how business operates. From this understanding, investors may be able to make better and more informed investment decisions all based on business models being added to a business plan. 5) Business Plan Writers help Tallahassee, FL. Business Owners with Logistics. Logistics for businesses may differ greatly based on the experiences from our business plan writers. Logistics are simply the supply chain used to bring a product or service to market. For manufacturers, logistics may start with receiving various components to make a finished product. In restaurants, the supply chain may include ordering paper goods from one supplier and consumable foods from other suppliers. Regardless of the logistics related to a business, some business owners failed to document the information accordingly, especially in the Tallahassee, FL. area. A business plan writer can help compile the various logistical components into a well-written document. By doing this, business owners may appreciate and experience various benefits. A common benefit is that when a vacation is due for the business owner, they are able to turn over their business plan to their second in command. In this document, the second in command will be able to review and understand the channels used to accumulate raw material for creating the finished product. Further, having logistics documented, business owners are able to examine this business segment and its totality. From these examinations, optimization is often inevitable. This would lead to increased service or decreased costs. 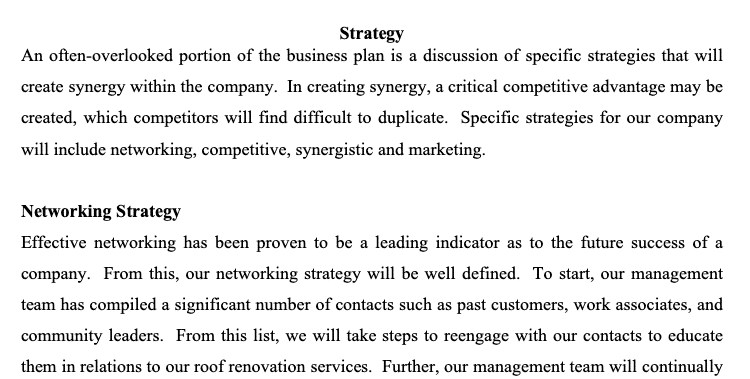 Regardless, benefits for having logistics documented by a business plan writer are noteworthy. 4) Business Plan Writers help Orlando, FL. Business Owners with Delegation. Some business owners, especially in the Orlando, FL. area consider delegation to be barking orders to employees related to some task or mistake. Unfortunately, our business plan writers consider delegation to be a little bit more structured then order barking. Delegation is often considered to be assigning authority to make decisions to individuals or positions. Through delegation, business owners are able to reduce their workload to supervision and planning. As a result, employees enjoy greater autonomy and elevated work morale, while business owners gain freedom to focus on business growth as compared to operations. To achieve these benefits, our business plan writer strongly recommends creating a chain of command that is documented in the organization section and structure of the business plan. There are multitude of benefits for exploiting this opportunity. A common benefit found by our business plan writers is that documenting authority in a business plan allows for business owners to share the information with employees upon hire. This sets a strong foundation as to the employee understanding their work responsibilities and limitations. A second benefit for including a delegation plan and a business plan is that when an owner decides to sell their business, the new owners will have an excellent idea as to how the business operates. A final benefit for delegation is related to logistics. Once logistics are set for a company, owners can then create responsibilities, through delegation, to ensure optimal flow of work material in the business. 3) Business Plan Writers help Tampa, FL. Business Owners with Competition. Competition in the Tampa, FL. area is increasingly growing, in almost all industries. This is because as profits are attained for a business, competition will enter in the market to gain a share of the total profits available. To make this even more difficult for entrenched businesses, new competitors entering the market often come in with differentiated services, which may be more appealing to customers. This leads to lower market share for entrenched competitors and a competitive advantage for new entrants. To mitigate this issue, having a professionally written business plan by business plan writer is almost inevitable. A business plan writer is able to research competitors in relations to how their offering their products, perspectives of customers and in some cases, identify price points used by competition. From this information, business owners are then able to create strategies, with business plan writers, to best compete in the competitive environment. In the end, business owners will be able to better understand the competitors and devise optimal strategies through the simple process of writing a business plan. 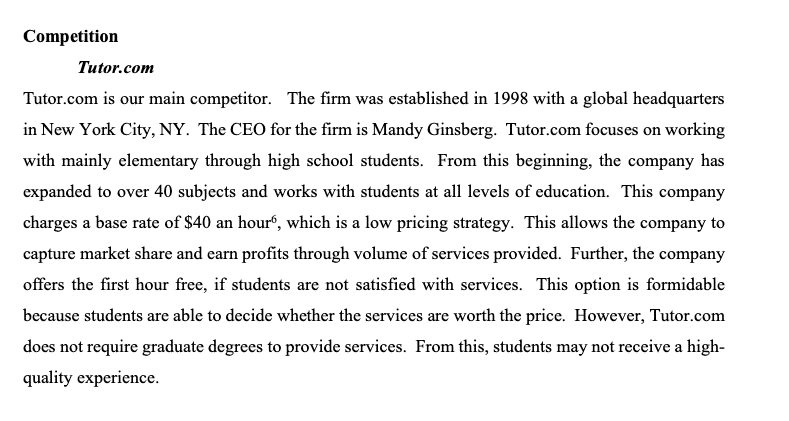 Shown below is an example of how our business plan writers evaluate competition for a business plan. For the most part, we start with identifying the competitor, their location and basis attributes of the competition. From this point a business plan writer my focus on customer service, pricing or other areas of their business. 2) Business Plan Writers help Miami, FL. Business Owners with Focus and Direction. Business owners in the Miami, FL. area often come up with a business idea and perpetually think about the idea in their heads without documenting the information. This often leads to business owners obsessing about their business concept and continually changing the specifics in their head without rhyme or reason, based on observations from our business plan writers. The issue that often arises through this process is that business owners fail to have a narrow focus for the business, which leads to lack of direction for the organization. To mitigate this issue, a business plan, in its entirety, is extremely beneficial. By having a business plan written by business plan professional, owners are able to document how they perceive their business at this point in time. Further, business owners, again, working with business plan writers, are able to create objectives for future point in time. These objectives should be cumulative. In other words, in three months, a specific objective should be set for sales. In six months, and additional objective should be set for sales. By structuring objectives like this, the end objective for the business is often attainable through a step-by-step process. Without documenting this information, business owners often tend to run in circles and rarely meet their coveted vision for their business. 1) Business Plan Writers help Jacksonville, FL. Business Owners with Fund Raising. Businesses almost always lead funding. Based on research from our business plan writers, approximately 70% of all businesses started with some type of funding. This funding may come in the form of a bank loan, investments from friends or family and even outside investors. Regardless of the funding source, people will not separate with their money without reviewing a sound business plan written by business plan writer. This is even true, yes, for friends and family. The reason for this requirement is that investors want to make sure that the funds are invested in a business that is well structured and well thought out. Nothing does this more than having a professionally written business plan. With this said, business owners have the option to either write a business plan themselves or hire a business plan writer. When an owner right to defend themselves, they often get lost in these significant details needed to be included in a business plan. Further, they often include details and a business plan that are not relevant to their company. This leads to an incredibly thick document that has little direction and modest information related to the business. A better choice would be to hire a professional business plan writer. A professional business plan writer has experience in a multitude of industries and numerous professions. Further, a business plan writers’ education often is related to business in general. From this structure, a business plan writer is able to quickly and efficiently analyze the business and identify which components are important to include in the business plan. Further, a business plan writer is also able to structure a business to almost tell a story. However, when storytelling for a business, business letter writers are also tasked with important action of not divulging proprietary secrets. Because of all these challenges and expertise needed for write a business plan, if your business is important and funding is critical, make sure to consult a professional business plan writer for assistance. Shown below is a picture of a cover page made by one of our business plan writers. For Quality Business Plan, Our owner, Paul Borosky, Doctoral Candidate, MBA., has over ten years’ experience as a business owner, business plan consultant, business plan writer, resume writer, website designer, financial projection consultant and adjunct finance professor and adjunct entrepreneurship professor. From these experiences, our firm will be able to assist startup companies as well as established firms looking for growth. Contact Us Today For a Free Consultant With Our Business Plan Consultants!